Hydroculture gardens can give every family access to fresh produce no matter their location or income. With immediate access to your garden, you easily incorporate healthy food into more of your meals. If growing indoors, can do it year all year round. It’s a great way to start eating healthier, making some extra income, or just cut down food cost. 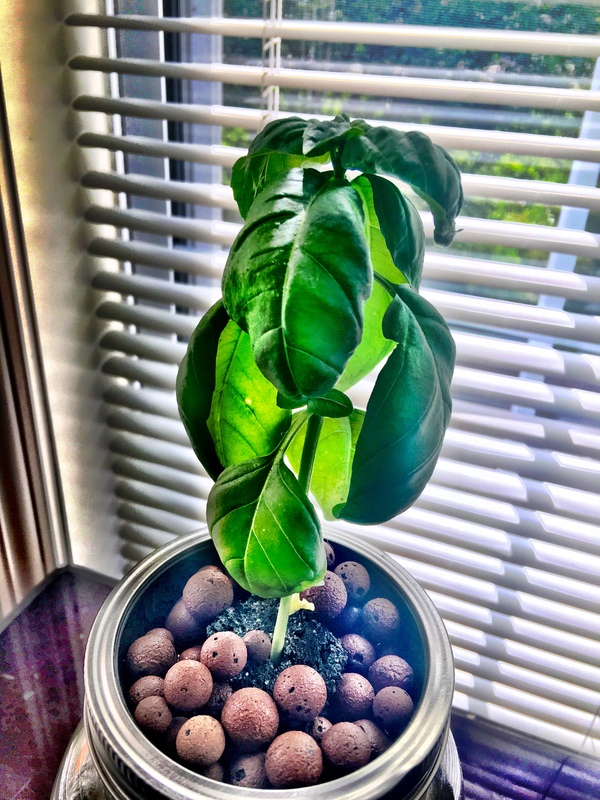 One of the questions that I get asked the most is what plants are the easiest to grow for hydroponic beginners. As a beginner, you want to have some early success to build your interest and confidence. Below are the 5 easiest plants for hydroponic beginners. Leafy greens may be the easiest plant to grow for beginners to hydroponics. Spinach and lettuce are both versatile plants that grow fast in hydroponics. In only a couple of weeks, you will be able to have a harvest. Leafy greens aren’t just for salads, they also go great with wraps and sandwiches. When growing leafy greens on a larger scale I like to use nft systems. When growing smaller amounts I’ve used both ebb and flow systems and deep water culture variations. 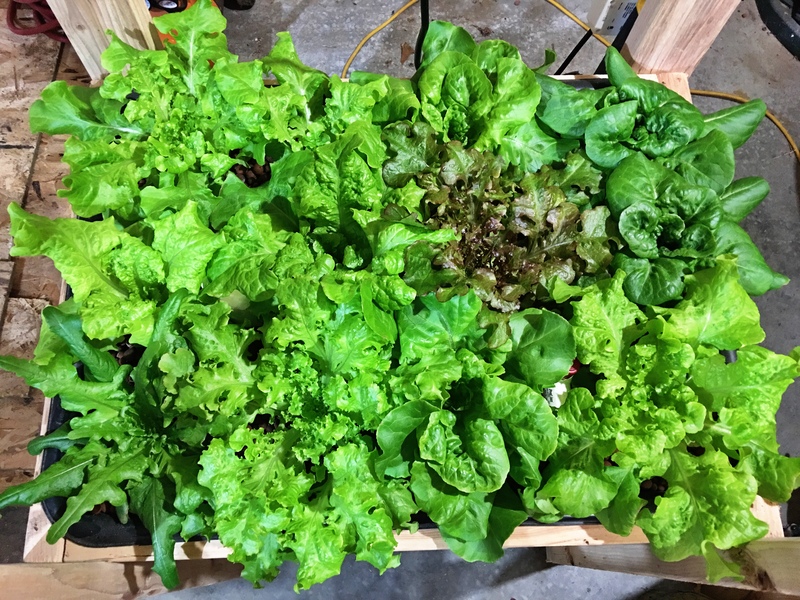 If you want to know more about hydroponic lettuce, check out the link below showing the lettuce I grew in my garage. Herbs, like leafy greens, grow fast and are easy to grow. For herbs that don’t flower, there is no need to change lighting or nutrient regimes, since we harvest them in their vegetative state. For those that flower, you will need to switch nutrient regimes when they get to their flowering stages. The tomato plant was the first plant that I grew using hydroponics. It’s a great plant to grow to learn the process of flowering and fruiting. Since tomato plants can produce a lot of tomatoes if you don’t get it right or something goes wrong, there’s time to recover and still get some produce. It’s important to provide support for your hydroponic tomatoes plants because the weight of the fruit can cause the plant to tip or the branches to break. Hydroponic tomatoes grow well in hydroponic buckets (bubble buckets) and drip systems. Like tomatoes and other water-loving vegetables, cucumbers grow great in hydroponic systems and produce a bunch of produce. When deciding on a cucumber variety for your hydroponic system you will need to decide between a bush or vining variety. As vining cucumber plants grow they will need to be supported by a cage or trellis. They often need more room, especially height, compared to bush varieties. Most cucumbers are susceptible to powdery mildew which can take over your hydroponic garden. I suggest choosing a variety with high resistance to the disease. Cucumbers grow well in many systems. I’ve used ebb and flow systems, dutch buckets, bubble buckets, and even tower systems. Who doesn’t love fresh strawberries? I think there are many advantages to growing strawberries in hydroponic systems. They grow faster, more abundant, higher quality rate, and fewer pest issues. Also harvesting several strawberry plants can be tiring; with the right hydroponic system, you can keep your berries at a height that’s easy for you to harvest. There are many plants that do well in hydroponic gardens. I suggested starting with the easier plants first, as some plants are trickier to grow than others. The goal is to learn, have early success and have fun. As you learn more about a plants nutrients needs and needs of the specific plants, you can expand your garden with new plants.